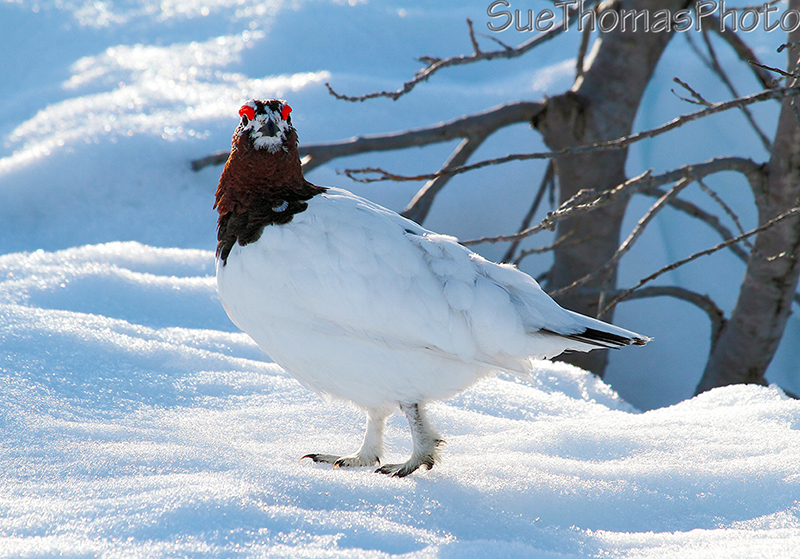 Left home about 3 p.m. with the intention of meeting with the Willow Ptarmigan near the Haines Summit, in the far northwestern corner of British Columbia. 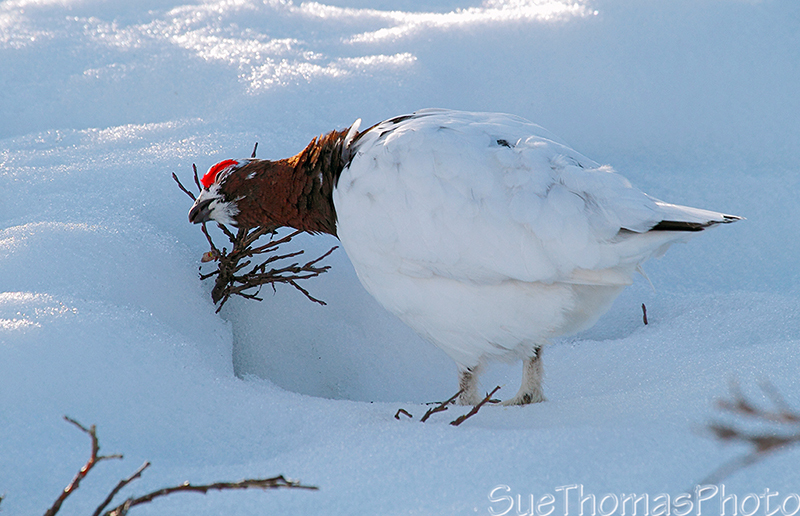 Sure-nuff, the birds were busy in the evening sunshine. 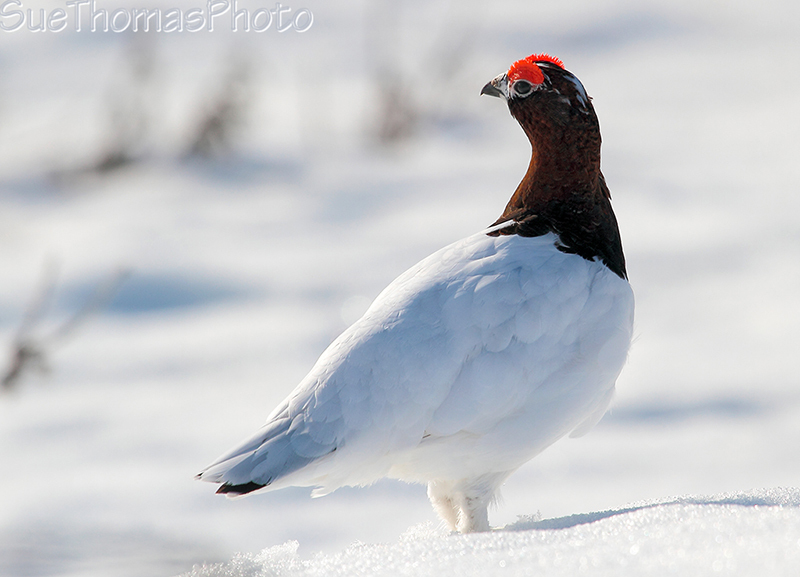 These ptarmigan tend to run along the ground, taking flight only when alarmed. 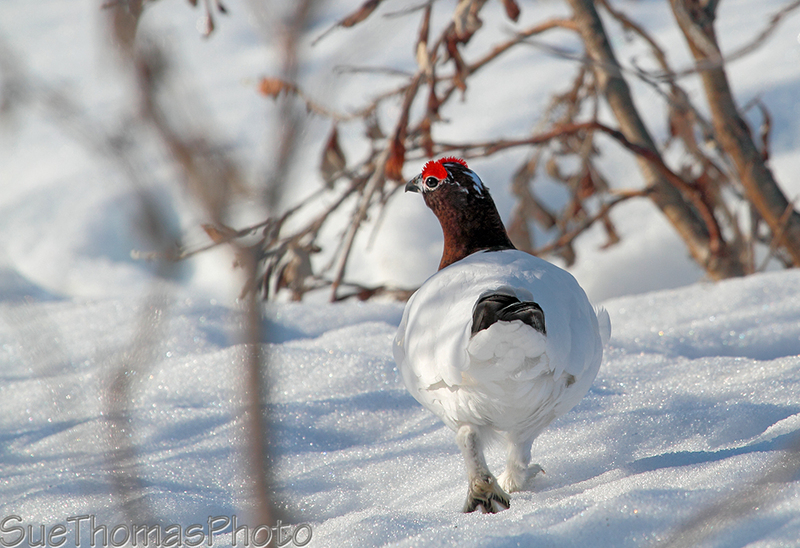 Striking a very nice pose for me - love their eyebrows! We stayed the night in the truck/camper. 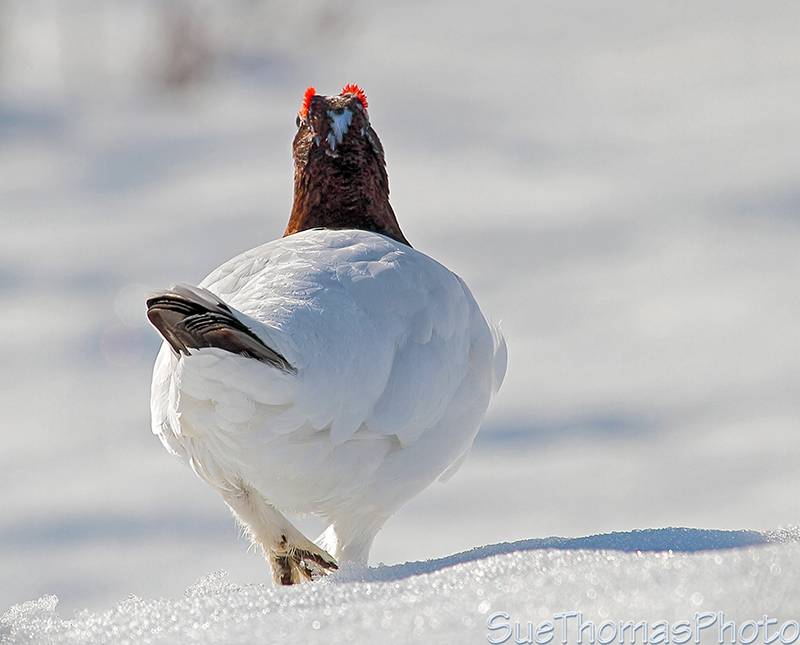 The ptarmigan were busy throughout the night. Their calls are so comical, when I'd wake up I couldn't help but smile as I went back to sleep.